The San Antonio Spurs are now 11 games into the post Tim Duncan era, a world in which they had not known since the 1996-97 season. They are 8-3 and mostly doing Spursian things but it still doesn’t feel right to not have Number 21 patrolling the middle and showing very little emotion outside of throwing his arms out to show his befuddlement at the referee’s calls while quietly dominating and helping the Spurs win for the 1 millionth time. 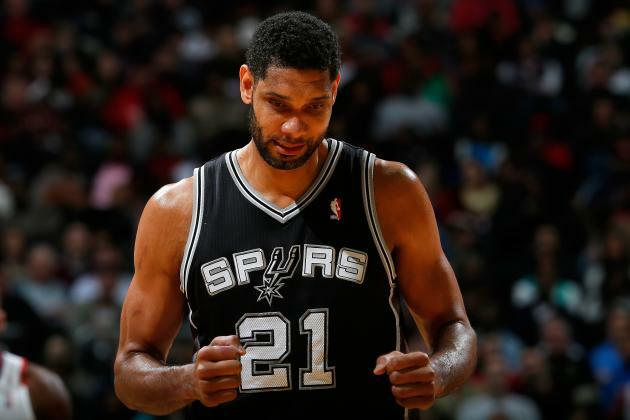 We all have to accept that Timmy isn’t coming back and the Spurs are further cementing that notion by officially announcing December 18 as the night they will retire Duncan’s jersey. In a unique twist, they will actually honor Duncan and raise his jersey to the rafters after their December 18 game against the Pelicans. It will only be fitting for Duncan’s name and legacy to be hanging in the rafters of the arena he helped to create and next to the five championship banners he helped bring to the organization. Tim Duncan, Coach Popovich and his teammates may not let it show during the ceremony, but it will be a very emotional night for the entire organization and fan base.